This healthy meal is a crowd pleaser for the entire family! Healthy, fast, and easy! 4. 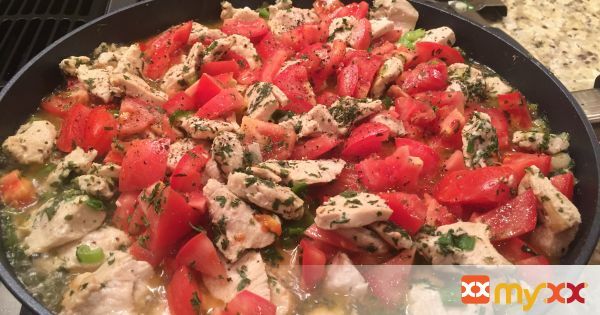 After chicken is cooked thoroughly add tomatoes. Heat until tomatoes are soft and warm. 5. Serve over pasta and top with grated parmesan cheese.